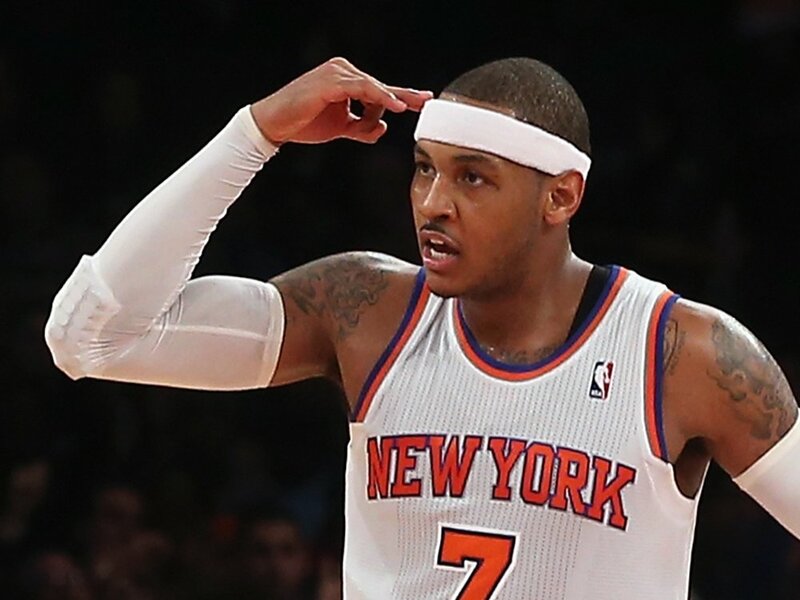 Carmelo Anthony has an opt-out clause which gives him the option to terminate his contract after this season. On Wednesday, Melo indicated that he has every intention of using it. So should Knicks fans panic? No. It makes sense for Carmelo to opt out. Even if he plans on staying, he would make more money by opting out and signing a new deal than he would be simply playing under his old contract. In fact, depending on what happens with Kobe Bryant’s contract next summer, Carmelo could become the highest paid player in the NBA. Melo might leave. He probably won’t. He has indicated that he would like to stay and the team has indicated that they will make it their number one priority to keep him. But Carmelo has every right to explore his options, and that is exactly what he is doing. This entry was posted in Articles and tagged Carmelo Anthony, carmelo anthony knicks, KNICKS, Knicks news, knicks rumors, melo, will carmelo anthony leave the knicks, will melo leave, will the knicks keep melo on October 16, 2013 by Tommy Rothman.